FORMER Housing Minister Dr Roodal Moonilal said the Prime Minister’s proposed housing bond is a recipe for disaster. The opposition MP said, asking primarily young aspiring home owners to invest in such a bond as a savings scheme for purchasing a house in the future spells disaster unless such a policy is embedded in law. “This proposal, like the declaration by Dr Rowley three months ago, to spend $9 billion in housing, is another pie in the sky madcap plan that will not get off the ground. 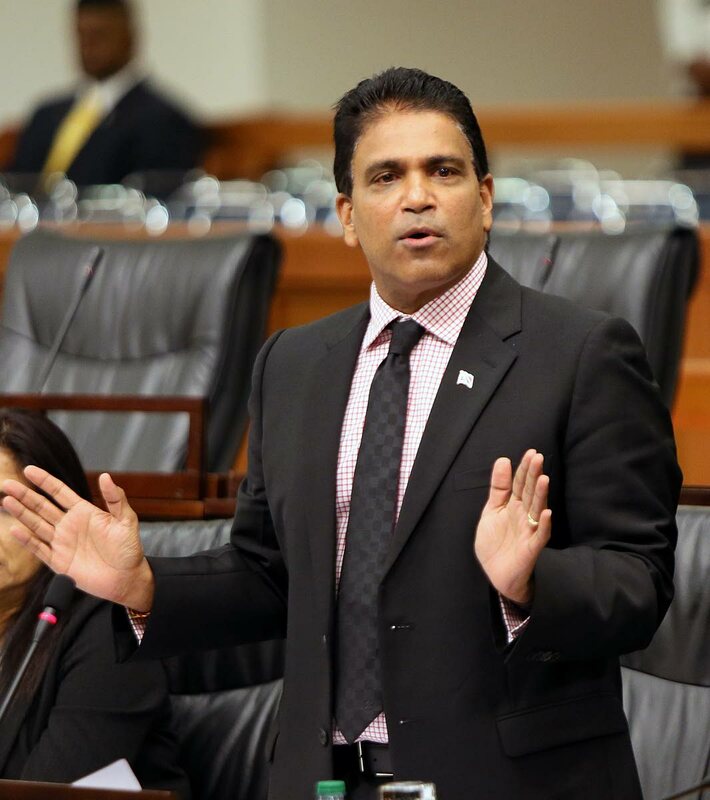 Moonilal said the proposal raises serious policy questions for example, the legal framework for refunding contributions, and if a contributor, for whatever reason, no longer needed a home but his or her money was already used in the construction of houses. Rowley broached the idea of the saving bonds within the HDC during a key handing over ceremony in Point Fortin to some 71 families, last week. He said discussion is ongoing with Finance Minister Colm Imbert and he is hoping for a successful conclusion. Moonilal observed, the houses in Point Fortin, for which keys were handed out, were constructed during the Patrick Manning administration and that none of the “lofty” housing measures detailed in Rowley’s election manifesto has been undertaken. He said this contrasted radically with the record number of housing construction and distribution of the Kamla Persad-Bissessar administration, including the unprecedented handing out of houses to 100 families each week. To add insult to injury, he said government has discarded the land for the landless program of the People’s Partnership which had targeted the distribution of 20,000 lots to low-income applicants over a two-year period. Reply to "Serious policy concerns over PM’s proposed housing bonds"